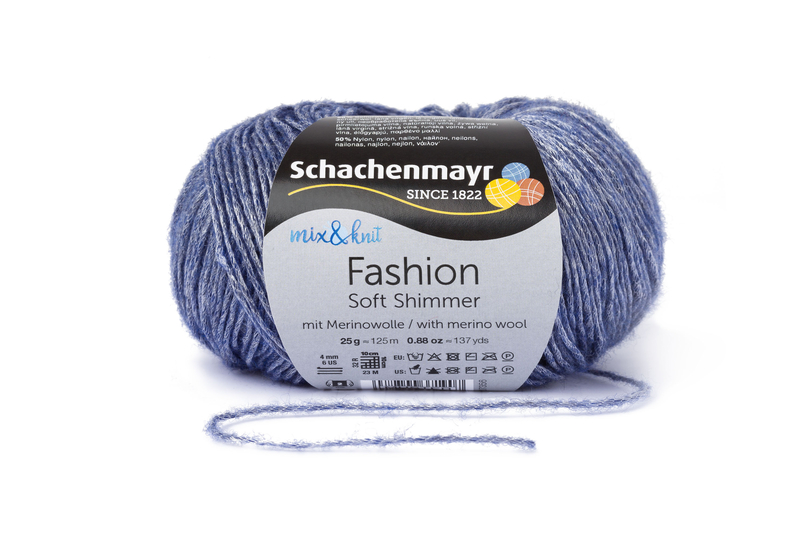 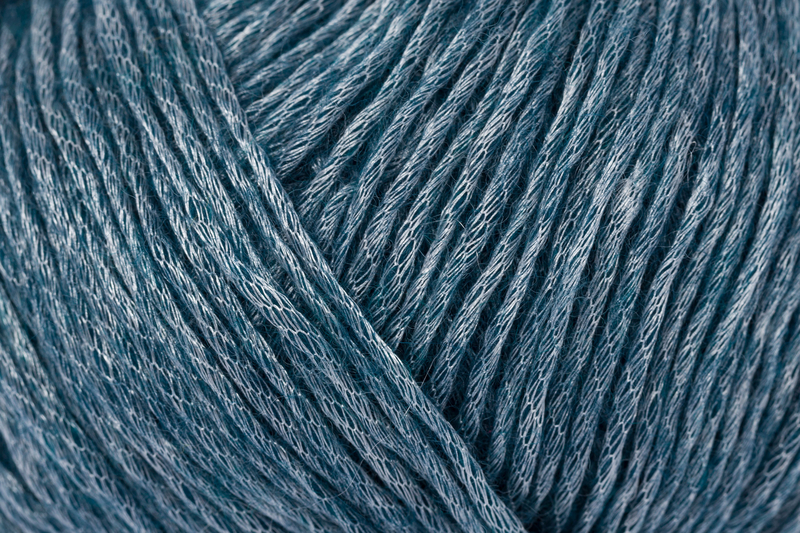 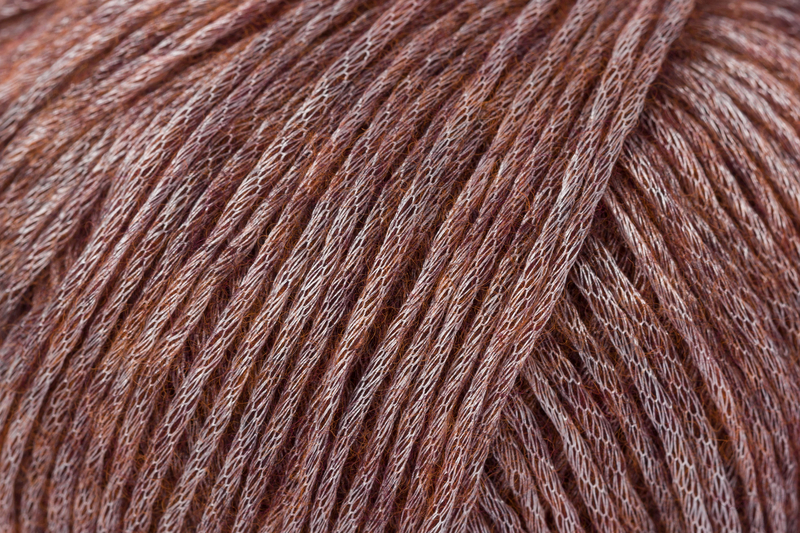 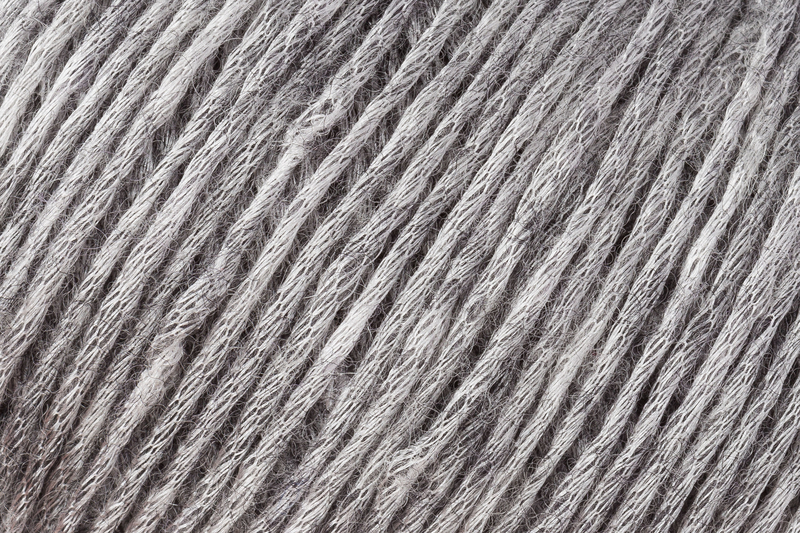 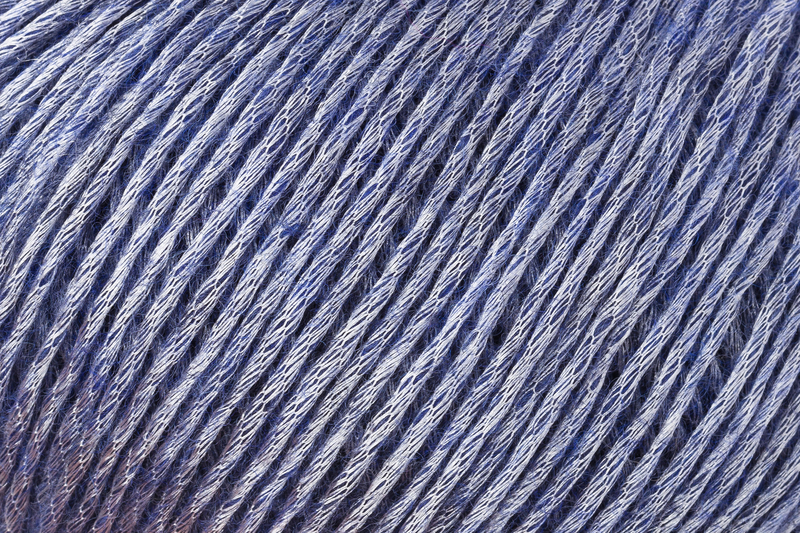 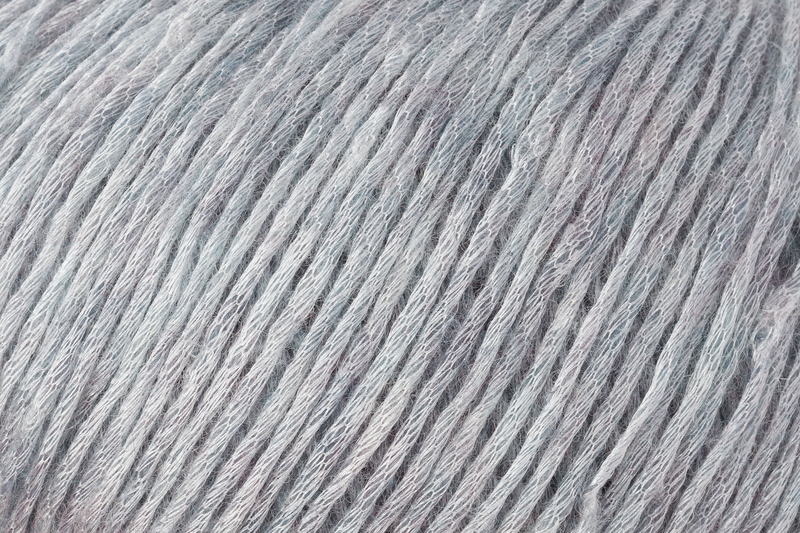 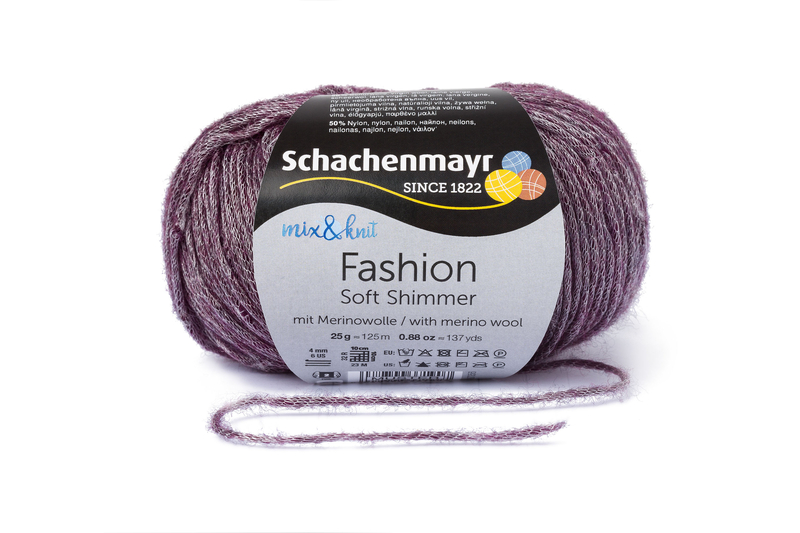 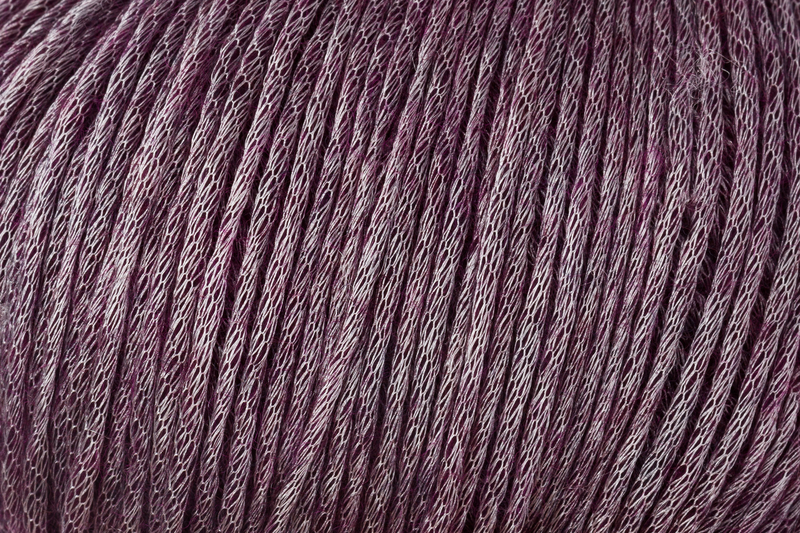 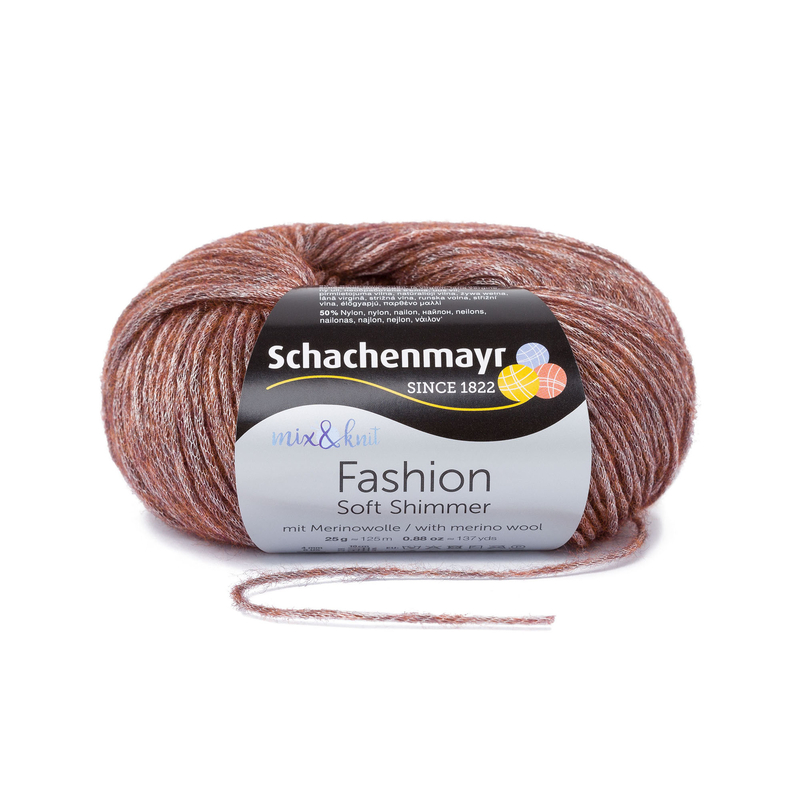 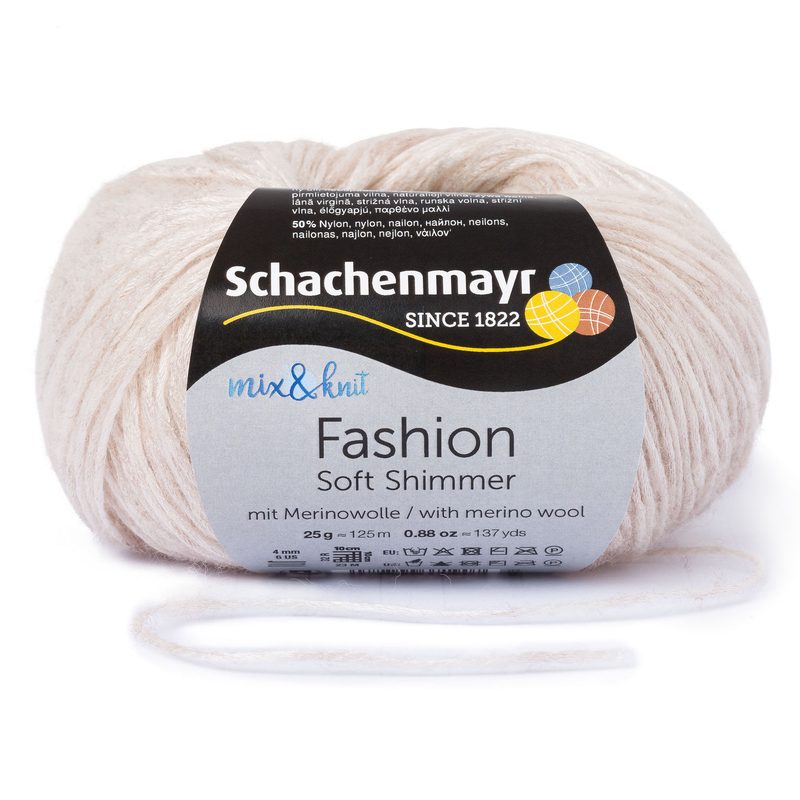 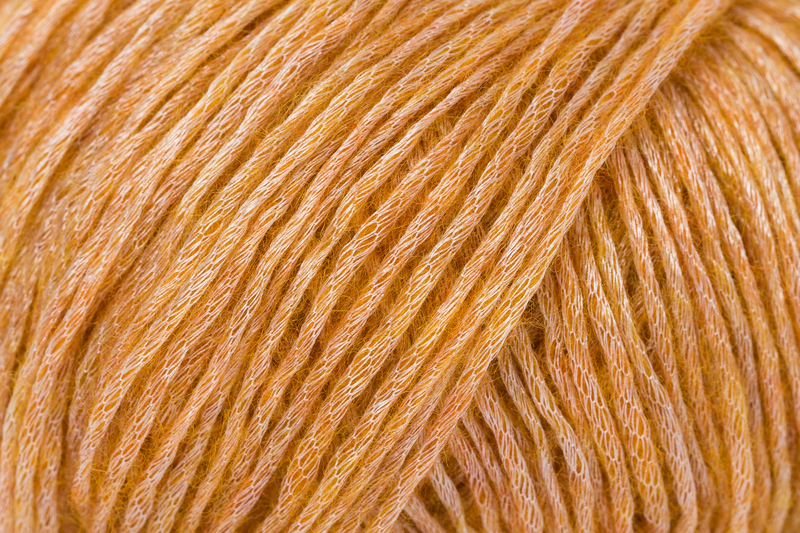 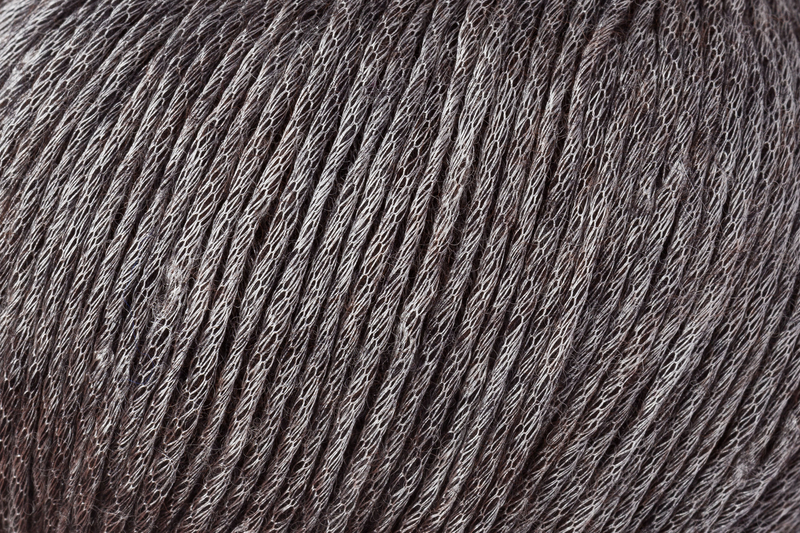 Soft Shimmer is an extraordinary yarn for very special accents! 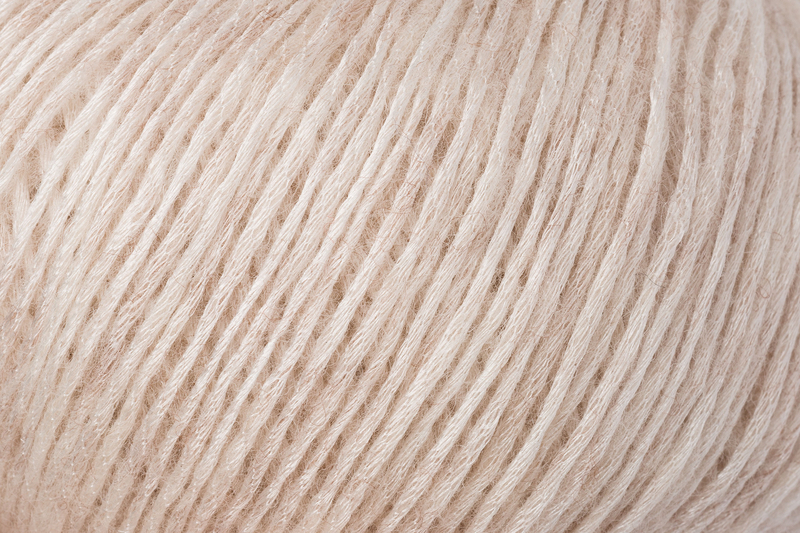 It is characterized by a fashionable light sheen and a pleasant soft feel on the skin. 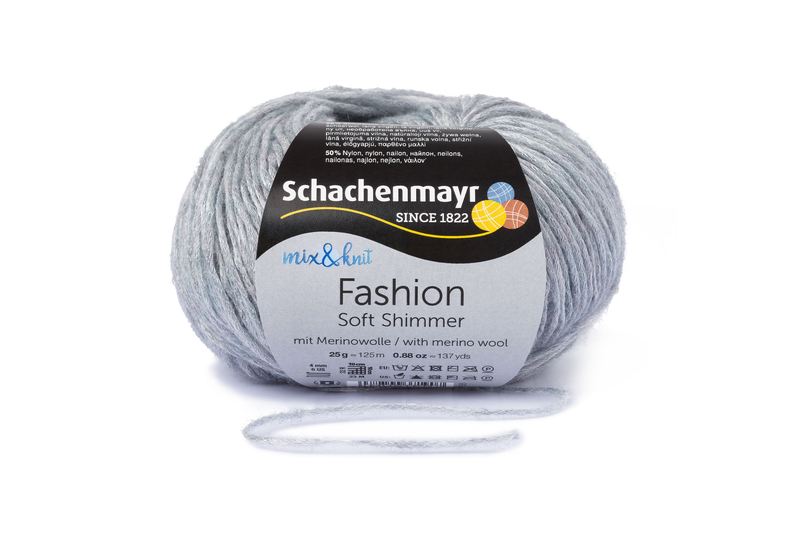 Both result from the special construction and fiber blend of the yarn – a shimmering nylon mesh surrounding warm, soft merino fibers. 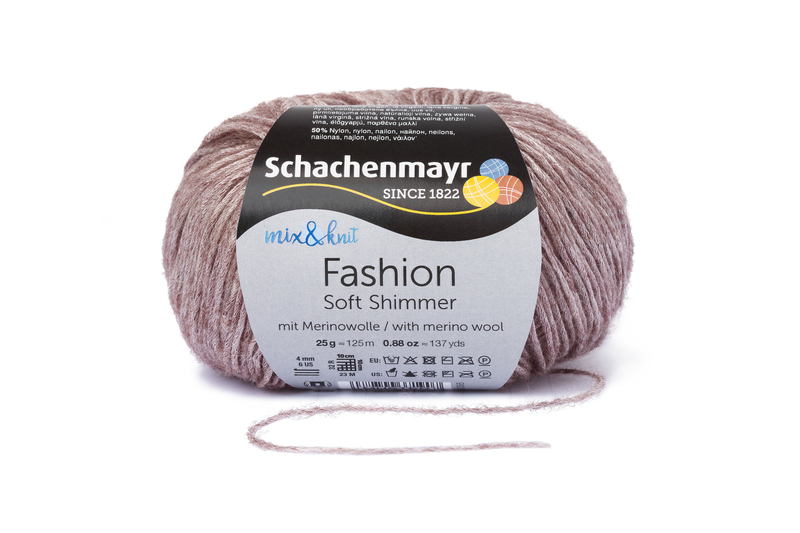 Soft Shimmer is available in delicate, subdued colors and can be wonderfully used to make fashionable accessories and garments. 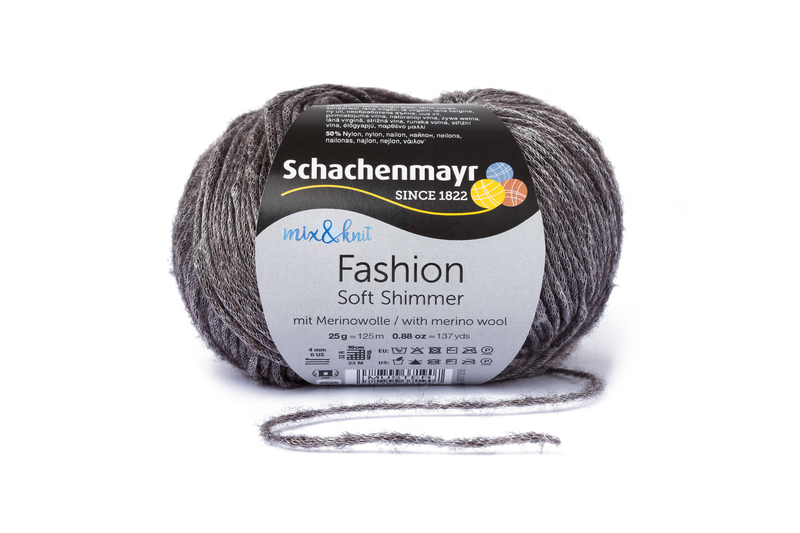 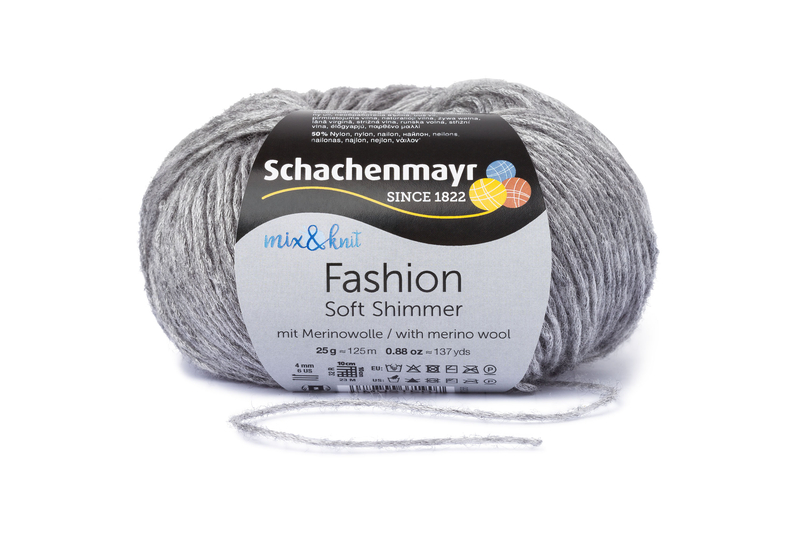 As one of the mix&knit collection, Soft Shimmer can also be ideally combined with other yarns with the same gauge, such as Fashion Pieces, Soft Mix or Merino Extrafine 120. 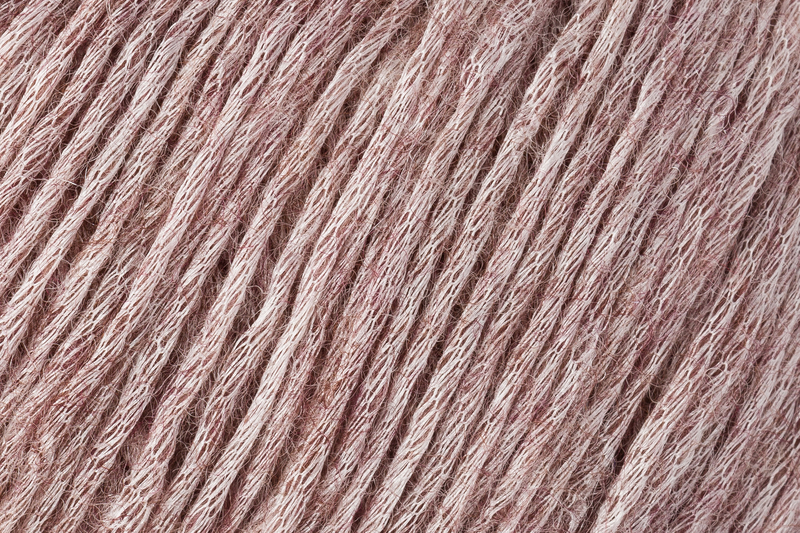 Thanks to its special appearance, Soft Shimmer adds just the right amount of glamour to an otherwise plain piece. 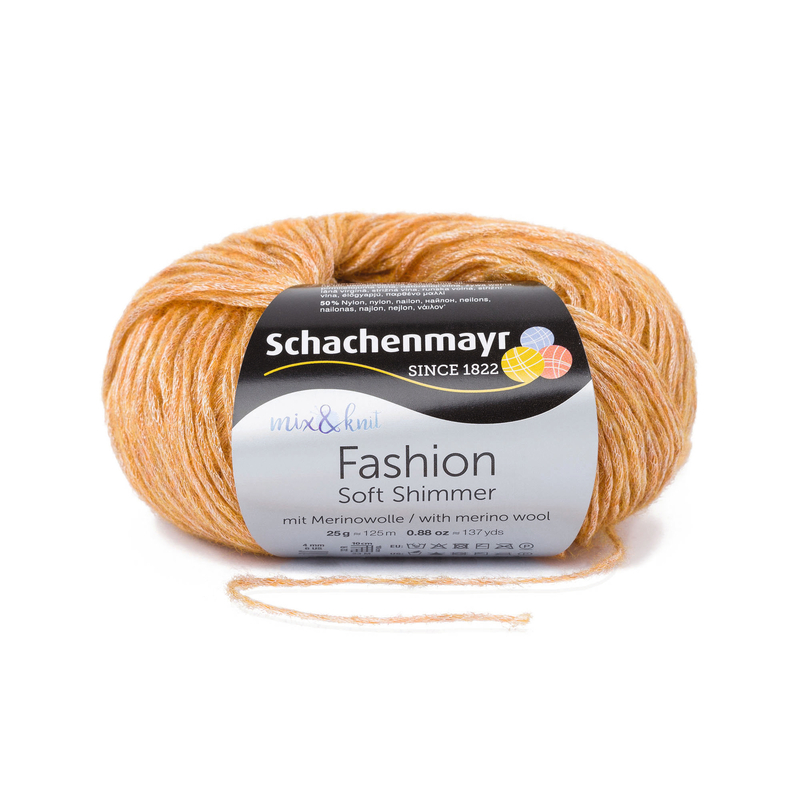 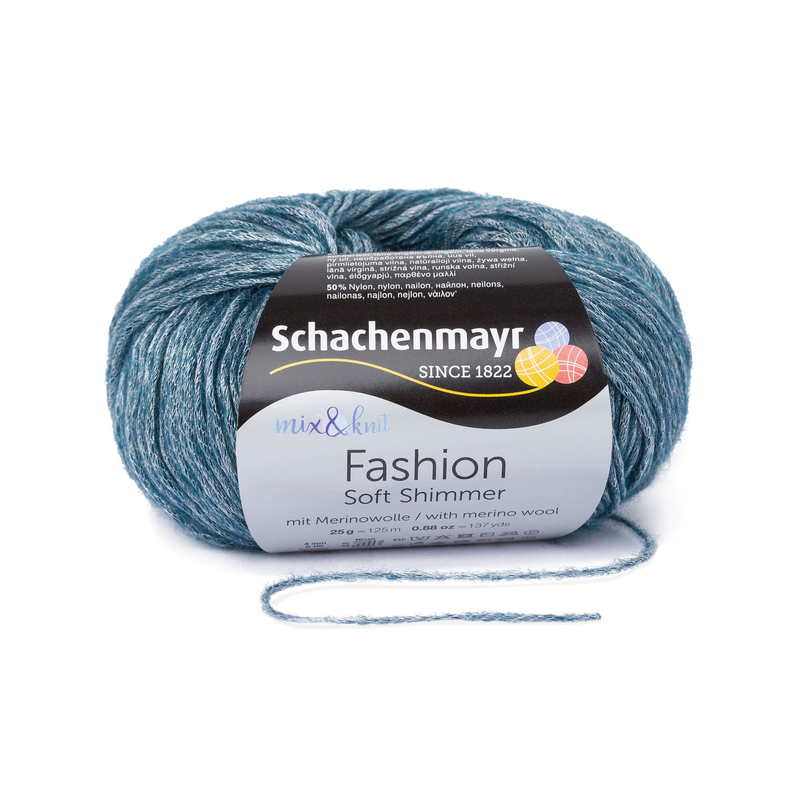 It is truly a must-have yarn for creating a special, unique look with that certain something!